Hundreds of high school seniors and dozens of local businesses filled Pisgah High School’s auxiliary gym for the school’s third-annual career day on March 29. Representatives from across industries including Evergreen, Giles Chemical, Champion Credit Union, Neo Corporation, GE Aviation, and many others answered students’ questions about qualifications, typical work days, and career paths. Representatives from Haywood Community College and Western Carolina University were also in attendance to answer questions about fields of study. Haywood Regional Medical Center’s table was also crowded with students interested in working in health care. Although many of the employers present at the career fair employ professionals in a variety of departments such as accounting, human resources, and marketing, the majority of businesses were scouting for technical positions. Haywood County Schools’ Career and Technical Education (CTE) program is working to bridge the gap between students and employers by directly preparing students for high-wage, high-demand careers. Agriculture, pulp and paper, drafting, welding, masonry, and machining are all a part of the school system’s CTE program. Even within one CTE field, a variety of jobs are available. 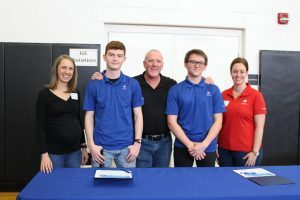 At the conclusion of Pisgah’s career day, the school had an apprenticeship signing ceremony for two seniors who recently began working at GE Aviation in Asheville. Since January 15, Lucas McCracken and Kyler Fouts have been leaving Pisgah each day after second period to go work at GE Aviation as machinist apprentices. McCracken works in an area making mid seals, which go into the hottest part of a jet’s engine, and Fouts’ department makes the front outer seal that holds the plane’s engine together. “I’m looking forward to the tradeoff of getting a good, high-paying job real soon,” Fouts said. Apprenticeships integrate school-based and work-based learning to instruct students in employability and occupational skills, such as machining, needed by local industries. The Pisgah seniors attend classes in the morning to meet high school graduation requirements and then work at their apprenticeship from 12:30 to 6:30 p.m. Both seniors agree that the hardest part of the apprenticeship for them is making time for family and friends while still going to school and working 30 hours a week. “It’s been a tough adjustment, but it really is the opportunity of a lifetime to be in high school and already have a career,” McCracken explained. Since 2005, the machining program at Pisgah has partnered with local businesses to place seniors in apprenticeships. Chip Singleton, Pisgah machining teacher, has worked to increase the rigor of his classroom curriculum and to teach skills needed in today’s precision machining industry. Many of the CTE programs, like machining, offer high schoolers a jumpstart on their future by giving them a chance to have a college transcript started and certifications all free of charge. 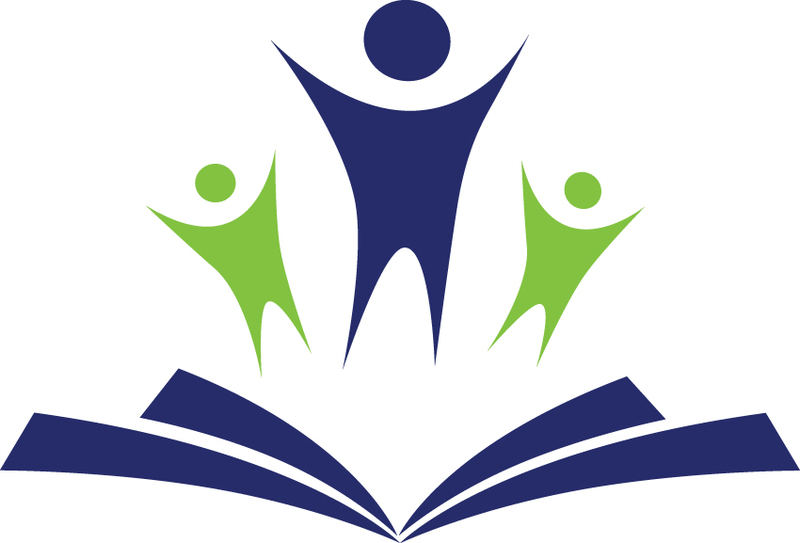 Between Tuscola, Pisgah, and Central Haywood high schools, more than 20 classes are available that offer articulated credit at N.C. community colleges. At the end of the school year, McCracken and Fouts will begin working full-time at GE Aviation. Both said they plan to take advantage of tuition reimbursement programs at GE by completing coursework to receive their associate degree in Computer-Integrated Machining from Haywood Community College.